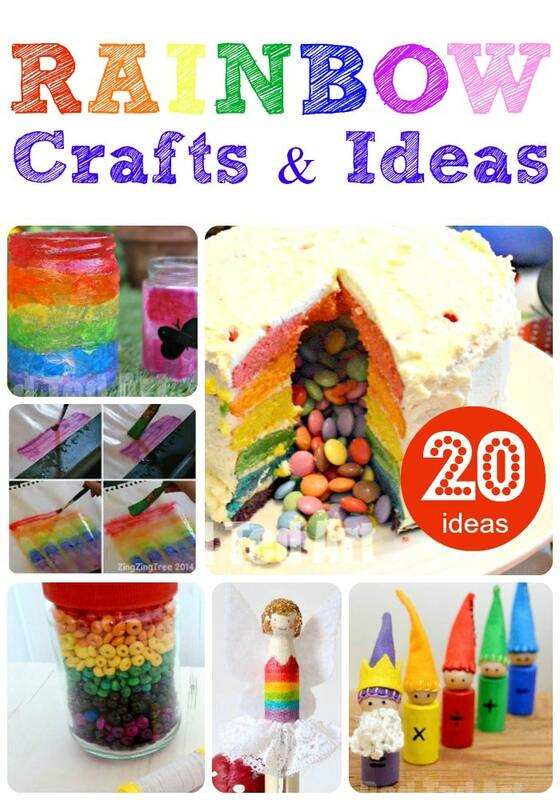 So, I think that this is a great time to explore rainbow crafts and activities. We are still stuck in dull, grey winter.. and with the sparkle of Christmas behind us, we need something to cheers us up. 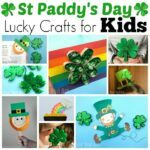 Of course, you have St Patricks Day around the corner and rainbow crafts are great as St Particks Day Crafts too.. or you may want to revisit the post in the Summer.. Rainbow crafts are just great all year round!!! Rainbow Heart Magnets – these are wonderful as a Valentines Decoration or for Mother’s Day! Rainbow Lace Art Wall Hanging – beautiful process art – combining lace and water colours! Melted Crayon Rainbow Heart Art – stunning and super fun! Who doesn’t enjoy taking a hair dryer and melting some crayons….?! This Rainbow Butterfly Canvas is easy to make and looks lovely! Or take a peak at these Paper Hearts and string up a rainbow heart garland! 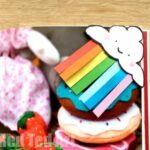 Turn these 3D Paper Hearts into Rainbows! Rainbow Pinata cake – every childhood should have one at some point! One of our favourite “Rainbow Science” experiments is this “Walking Water” via Schooling A Monkey! So fun and so easy to set up. And just magical rainbow fun! Rainbow Tissue Paper Jar project. 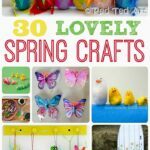 Fun and easy and oh so pretty! These Cork Butterflies are super easy and fun to make! 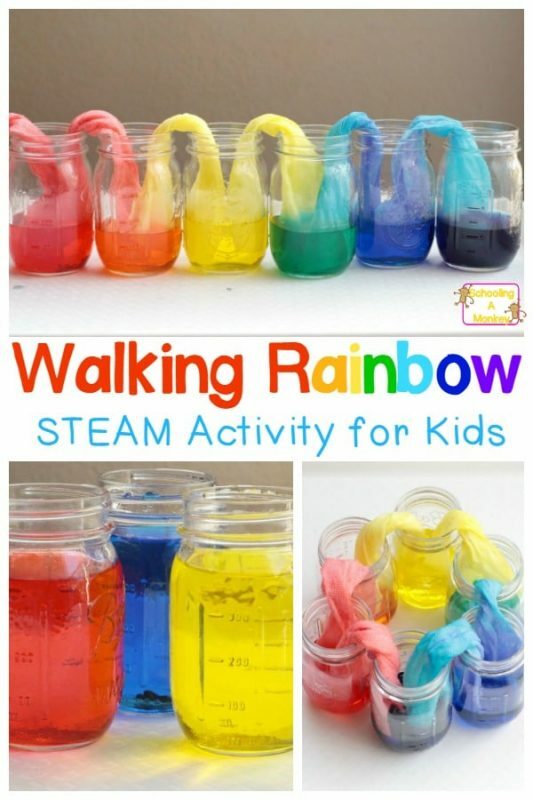 Why not go on a Rainbow Colour Hunt – a super easy activity to set up for kids on rainy days. 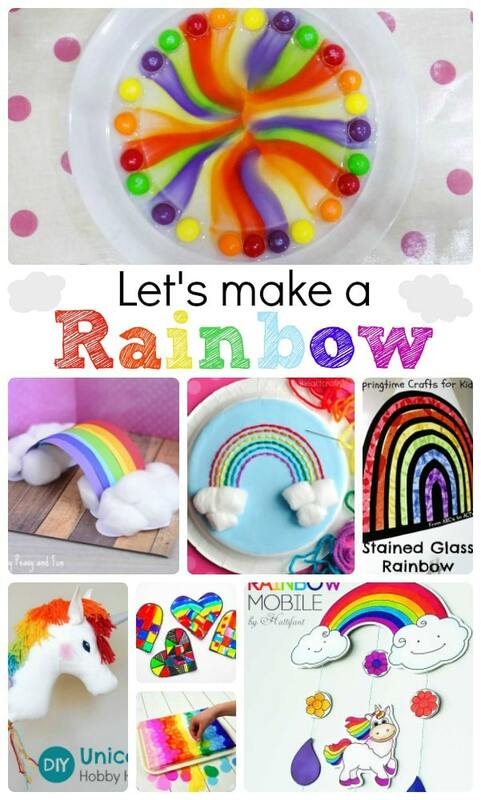 Many moons ago, we also had a fabulous “rainbow crafts hangout”, where you get to “see” some of the rainbow crafts shared below! 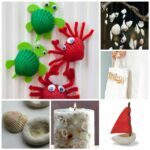 NOTE: this post was first published in January 2014, but we have been updating this post with fabulous new ideas for you! 12) Letter Art – Rainbow PomPoms (9min) – also check out Kelly’s Rainbow Themed Birthday Party! 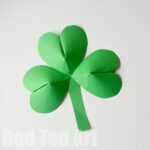 More specifically, we have some great St Patrick’s Day Crafts for you to browse too! 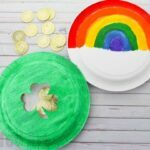 I think I need to plan a rainbow party! Yes! Any excuse for a rainbow party!!! 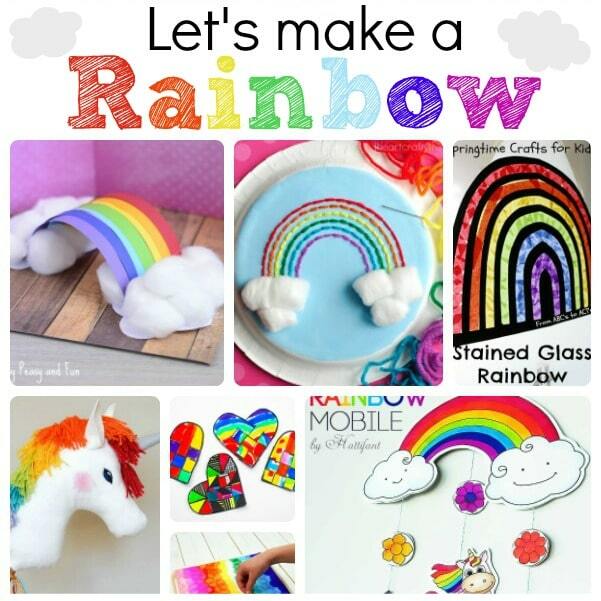 wow – we have so many rainbow crafts to chose from now!! fabulouso! oooh a rainbow party sounds very cool! 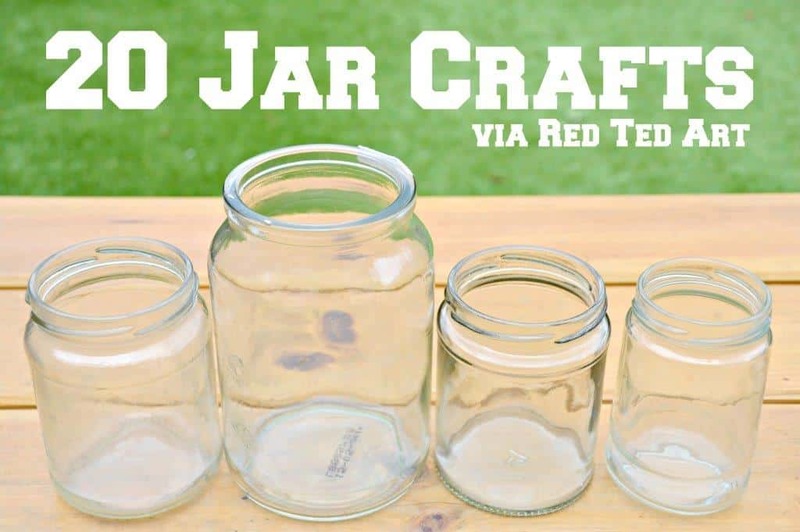 Love it, so many amazing ideas!